Valley wide drop off or onsite mobile kitchen setup, breakfast, lunch or dinner. All cuisines, all sizes. Rental equipment available. Catering to the film industry since 1996. 40 yrs. exp. 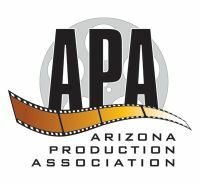 Serving the production industry statewide since 1966. The largest fleet of kitchen trucks in Arizona. Excellent food and service.